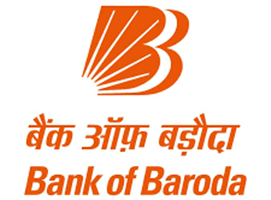 A total of 600 students will be inducted in Baroda Manipal School of Banking through the current selection exercise for 2018-19 (April 2018 to March 2019). The intake of students in batches will be decided by the Bank, as per the requirement. The fees for this Course will be Rs 3, 45, 000/- (all inclusive of boarding, Lodging and course fees, other fees, etc.) plus applicable taxes to be paid by the student. Apart from the above course fees, the exam fees for undergoing various Certification exams viz. NISM (Mutual Funds) and NISM (Depository services) as mandated under the course will have to be borne by the candidates, as per the fees charged by NISM from time to time for conducting these Certification exams. Currently, the fees for NISM (Mutual Funds) and NISM (Depository services) certification exams comes to Rs 2500/- per candidate. A candidate must be either i) a Citizen of India or ii) a subject of Nepal or iii) a subject of Bhutan or iv) a Tibetan refugee who came over to India before 1st January 1962 with the intention of permanently settling in India or v) a person of Indian origin who has migrated from Pakistan, Burma, Sri Lanka, East African Countries of Kenya, Uganda, the United Republic of Tanzania (formerly Tanganyika and Zanzibar), Zambia, Malawi, Zaire, Ethiopia and Vietnam with the intention of permanently settling in India. A candidate must have been born not earlier than 03.07.1990 and not later than 02.07.1998 (both dates inclusive).